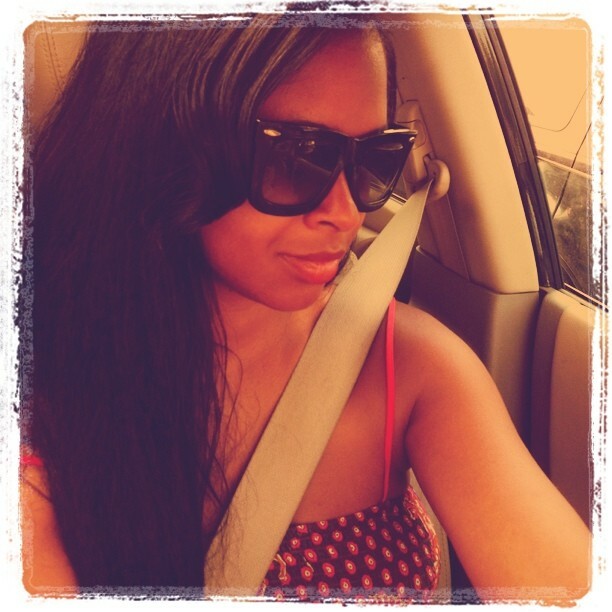 :: NikG* Life + Style ::: Straight hair, don’t care. It’s all still natural hair. Straight hair, don’t care. It’s all still natural hair. Exactly! I couldn't agree more. Either way, it's your hair that grows from your scalp! It looks beautiful both ways. Fabulous hair. How do you keep it from getting frizzy in the hot and humid Southern climate? Jay--I apply a dab of coconut oil daily (the hair absorbs it so it never feels greasy) and make sure to twist it up in one big bantu knot bun when I'm not out and about--this keeps it's smooth and straight (with large waves). When I do go out and gets a bit fuzzy, all I have to do is put it back up like that for a while and it's pretty smooth again. That helps very much so. Thanks! It might be a bit more humid here in New Orleans, but I can't wait to give that a try.